India's air passenger traffic is expected to grow six-fold to 1.1 billion and the number of operational airports increase to around 200 in 2040, according to Ministry of Civil Aviation's vision document released Tuesday. India was the seventh largest aviation market with 187 million passengers -- travelling to, from and within India -- in financial year 2017-18. 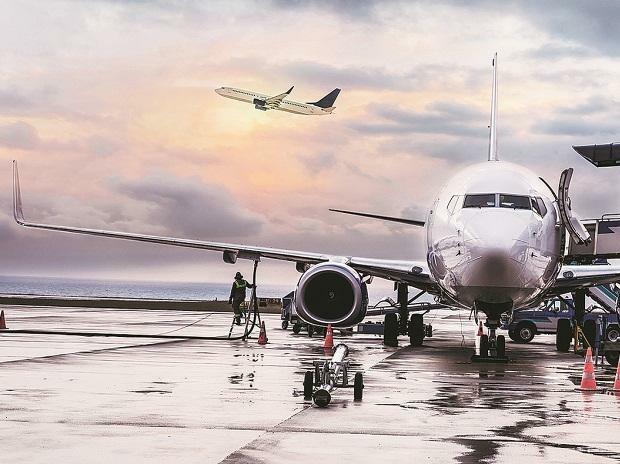 The 'Vision 2040 for the Civil Aviation Industry in India' document released at a summit here also said that the country would have its own aircraft leasing industry, with tax structure and repossession processes" being "equally or more attractive than those in leading global jurisdictions". "The passenger traffic is expected to grow six-fold to around 1.1 billion. India has one of the largest aircraft order books currently with pending deliveries of over 1,000 aircraft," the document from the Ministry of Civil Aviation (MoCA) said. The fleet of commercial planes is likely to rise to 2,359 in March 2040 from 622 in March 2018. "India may have around 190-200 operational airports in 2040. Its top 31 cities may have two airports, and the cities of Delhi and Mumbai three each. "The incremental land requirement is expected to be around 1,50,000 acre and the capital investment (not including cost of acquiring land) is expected to be around USD 40-50 billion," the document said. As per the document, the government may consider establishing a Nabh Nirman Fund (NNF) with a starting corpus of around USD 2 billion to support low traffic airports in their initial phases. The concept of land pooling may be used to keep land acquisition costs low and to provide land owners with high value developed plots in the vicinity of the airport, it added.